Dr. Rudy C. Paolucci was born and raised in Joliet, Il. He graduated from Joliet West High School in 1979. He went on to receive a Bachelor of Arts degree in Chemistry in 1983, from Loyola University of Chicago. 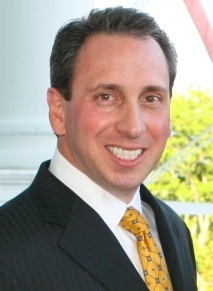 Dr. Paolucci then earned his dental degree from Loyola School of Dentistry in 1987. In 1988 he returned to Joliet, where he joined his family’s dentist, Dr. George Fehrenbacher who retired from dentistry two years later. Dr. Paolucci stays acquainted with modern dental advancements through continuing education classes and participation in study clubs. He upgrades the office equipment to best provide current and skillful dental care. His practice philosophy is to establish a trusting, satisfying and lasting relationship with his patients. He and his staff have a high concern for patient comfort and a calming demeanor for patient anxiety. Dr. Paolucci places a strong emphasis on patient education. He fosters open discussion and explains advantages or disadvantages of treatment plans, which empower patients to make informed decisions. A clear understanding entitles patients to select conservative care, or more aggressive approaches to promote dental health and beautiful smiles. Dr. Paolucci and his wife Judy have three children, Elizabeth, Matthew and Sarah. In his leisure time he enjoys boating, reading, woodworking, playing guitar and attending his children’s many dance and sporting events. He and his wife are strong advocates of community service. Both have volunteered numerous hours and have taken many leadership roles at their church, their children’s schools and in their local community. Our team consists of dedicated individuals who are kind, friendly, and caring. Our Joliet dental staff is here to ensure a pleasant experience during your visit to our office.